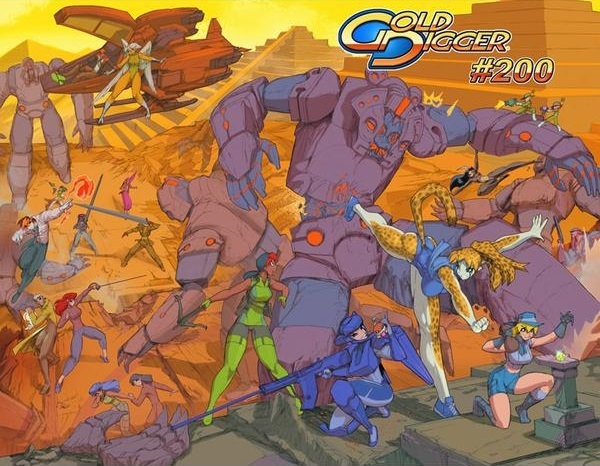 Back in 1997, Antarctic Press decided to move away from funny animal comics (a move which brought about the birth of Radio Comix) and instead concentrate on “American Manga”. Well now, to celebrate their 30th anniversary Antarctic are back in the furry herd with a new full-color one-shot called Furry Tails. “As a special event for our 30th-anniversary year, Antarctic Press is going back to one of its (hairy) roots-anthropomorphic comics! Includes work from Sonic the Hedgehog artist David Hutchison, plus an all-new, all-furry fun-fest from Fred Perry! 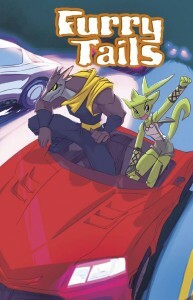 Fast and Furriest: When the world order makes every aspect of life miserable for the poor multitudes, Turbo Ninjas take to the highways to rob from the rich and give to the poor!” Check it out over at Bleeding Cool. Comic book publisher Antarctic Press, the first publisher of furry anthologies Furrlough and Genus, is running an Indiegogo crowdfunding campaign to raise cash to remain in business. It is always difficult to ask for help, but due to current circumstances, we have incurred over $70,000 in debt and costs from returns. Antarctic Press expanded into the mass retailer market, but got a bit "hosed" by returns of unsold comics from stores. Contributor perks include wallpaper, comics – some signed – an Indiegogo-only print signed by five artists, and subscriptions of new AP comics. There are 40 days left in the fundraiser, with $4,667 already pledged; enough to eliminate one of the company's smaller loans. 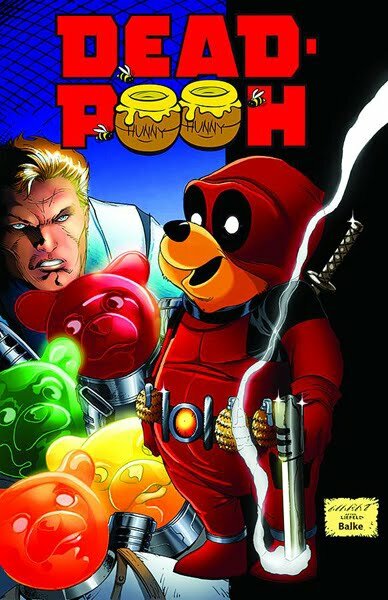 Where to even begin, except to say: Dead Pooh. Yes. Here, we’ll let the perpetrators try to explain: “Trash-collecting bear by day, crime-fighting martial artist by night. Dead Pooh protects the citizens of Woodland City from the menace of the Candy King. In the best traditions of parady, Comi-Kazi presents the latest hero to arise to confront the forces of darkness for truth, justice…and a jar of honey!” Sure to raise the hackles and the temperature of Marvel fans and Disney fans alike. This loony full-color one-shot is written by Al Sharpe, illustrated by Marat Mychaeis and Sean Davis, and scheduled for release from Antarctic Press in March. Oh bother.